Gary L. Bledsoe, former Texas Southern University regent and renowned Austin trial lawyer has been named acting dean of Texas Southern University Thurgood Marshall School of Law, effective November 1. In his role, Bledsoe will serve as the chief academic, fiscal, and administrative officer of the law school, until further notice. His responsibilities will include academic and administrative leadership; leading and managing law school operations; advancing a vision for the school’s future; fundraising; and building and sustaining partnerships and strong relationships with alumni of the law school and university. Bledsoe’s appointment follows the recent resignation of Interim Dean Dr. James M. Douglas, who will continue his service to the law school as distinguished professor of law. Bledsoe is no stranger to Texas Southern University (TSU), having served on the TSU Board of Regents from May 2007 through October 31, 2017. 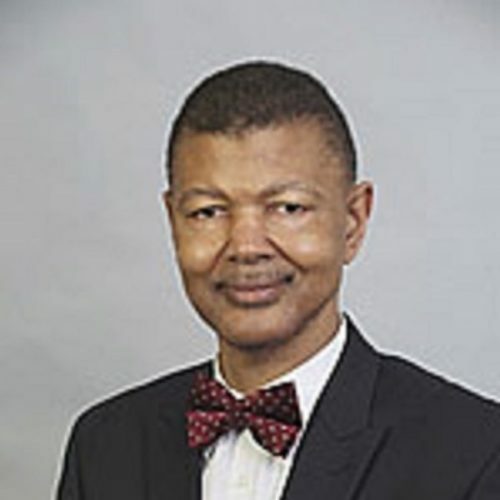 A trial lawyer, specializing in public interest, employment and civil rights law, including having handled voting rights and desegregation and employment discrimination litigation, Bledsoe has been lauded by an array of professional associations for his legal acumen and civil rights efforts. Additionally, Bledsoe has a longstanding relationship with the NAACP, having served as the president of the Texas NAACP since 1991, on the NAACP National Board of Directors since 2003 and more recently, beginning his tenure of service as housing chair and legal committee vice-chair of the National NAACP. His ties with the NAACP have afforded him opportunity to make notable civil rights changes, including his handling of racial discrimination complaints against the Austin Department of Public Safety that dismantled racial barriers that prevented minorities and women from becoming Texas Rangers. Moreover, his involvement with the Cedar Avenue litigation against the Austin Police Department led to heightened public awareness of the police department’s mishandling of minority youth and led to widespread changes in the handling of police abuse cases; the landmark settlement engendered the creation of a fund for youth in dis-affected areas to be able to attend college or receive job training. Additionally, Bledsoe arranged for an African-American student scholarship program with HEB, providing $25,000 in yearly scholarships for 5 consecutive years, for students attending Texas Southern University, Prairie View A&M University and Huston-Tillotson University. Bledsoe is also a member of American Civil Liberties Union (ACLU) Board of Directors. Bledsoe earned a Bachelor of Arts with honors and special departmental honors in ‘73, as well as a Doctor of Jurisprudence degree from the University of Texas at Austin, where he is heralded as permanent class president of Class of ’76. 11:15 a.m	- 12:45 p.m. Copyright © 2018 NAACP. All rights reserved.